Why we love it: An organic eye-liner pencil with rich color and a gel-like formula. Perfect for creating precision definition for a feline flick or for smudging into a smouldering bedroom eye. 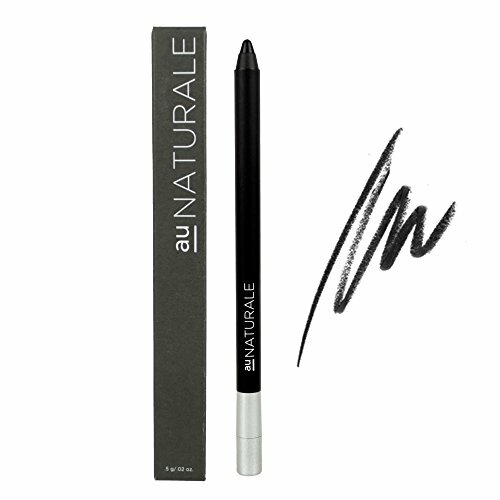 This best-selling eyeliner features highly pigmented colors that glide on with ease, making any look easy and effortless. Go with a classic shade like brown or black for definition or try one of the jewel tones for a look that inspires. Available in 6 colors. Organic Ricinus Communis (Castor) Seed Oil, Euphorbia Cerifera (Candelilla) Wax, Organic Simmondsia Chinsis (Jojoba) Seed Oil, Organic Ricinus Communis (Castor) Seed Wax, Rosmarinus Officinalis (Rosemary) Oleoresin, Kaolinite, Iron Oxides, Mica. Formulated without gluten, parabens, fillers, animal by-products, synthetic preservatives or toxins, our organic eye liner pencils are 100% natural, cruelty-free, vegan and made in the USA.